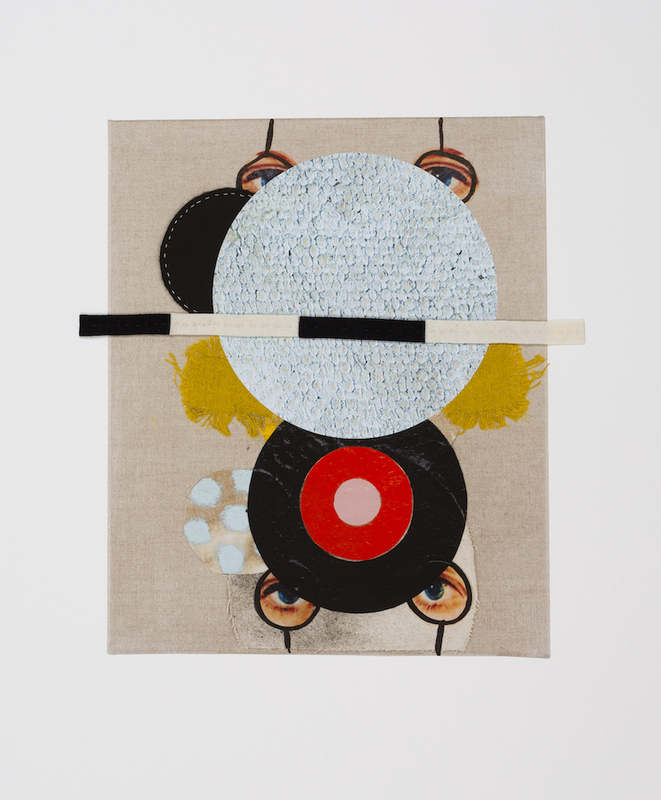 wool and collage on archival pigment print, 25 x 21"
Traywick Contemporary is pleased to announce No Other, our third solo exhibition with Chicago-based artist Diana Guerrero-Maciá. Guerrero-Maciá’s art practice explores the complexities of meaning inherent in her materials. She incorporates a distinctly rebellious visual vocabulary, while also drawing from the rich narrative traditions of textile-based art, such as quilts and tapestries. In her new body of work, a loose, painterly approach directly questions the boundaries typically assigned by these mediums. Guerrero-Maciá describes this as a “hybrid form of painting,” aligning it with Modernist ideas of collage. The title of the exhibition, No Other, is an acknowledgement of multiple ways of looking and identifying, and a means of rejecting society’s imposition of labels. Guerrero-Maciá is specifically addressing art history’s patriarchal canon, which has long relegated women and minority groups to be categorized as “the other”. In this exhibition, women‘s eyes are everywhere: taken from fashion magazines and other popular culture sources, they peek out from behind Modernist grids and targets, boldly staring back at the viewer. Diana Guerrero-Maciá was born in Cleveland, Ohio of exiled Cuban parents and raised on the East Coast where she earned a BFA from Villanova University in 1988 and an MFA from Cranbrook Academy of Art in 1992. Since 2001, she has been a professor in the Departments of Fiber & Material Studies and Painting & Drawing at The School of the Art Institute of Chicago, and since 2016 has served as Chair of the Department. Her work has been exhibited extensively at noted institutions such as the Museum of Contemporary Art, Chicago; Artpace, San Antonio, TX; Elmhurst Museum, IL and the Museum of Contemporary Art, St. Louis, IL. Guerrero-Maciá is also a recipient of the prestigious Louis Comfort Tiffany Foundation Award and recently was a 2017 Cintas Foundation Finalist for artists of Cuban descent.